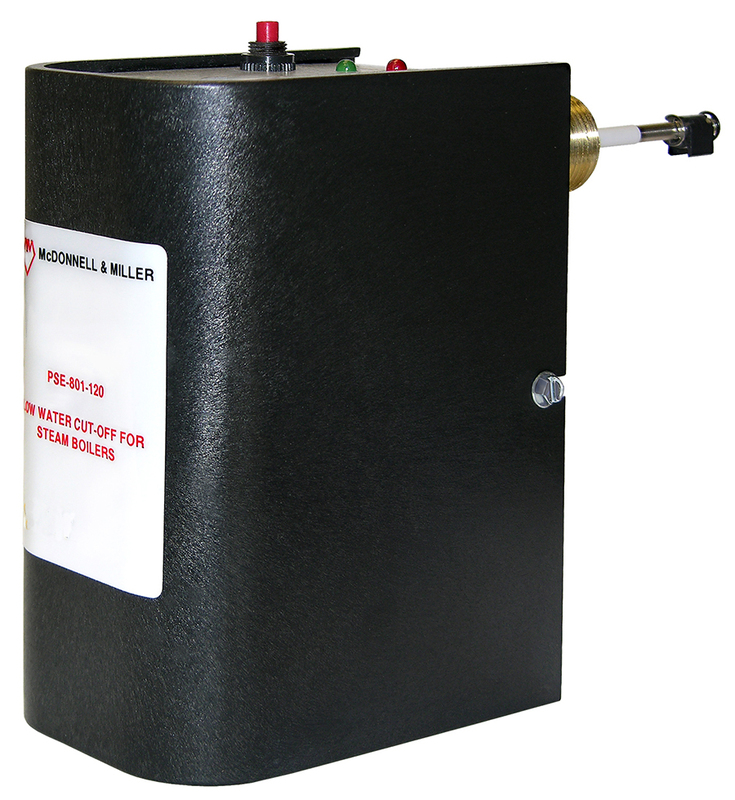 The Series PSE-800-M Manual Reset LWCO is a new addition to the McDonnell & Miller probe type low water cut-off group of products. These controls are used as the secondary LWCO on steam boilers and can be used as the primary LWCO on hot water heating boilers. With a self-cleaning probe, available only on McDonnell & Miller probe type controls, which reduces probe maintenance to once every five years instead of annually. Manual reset models meet requirments of ASME Standard CSD-1.